Best translated as “Heart of the Perfection of Wisdom”, the Prajna Paramita Heart Sutra is one of the most notable and profound Buddhist scriptures. 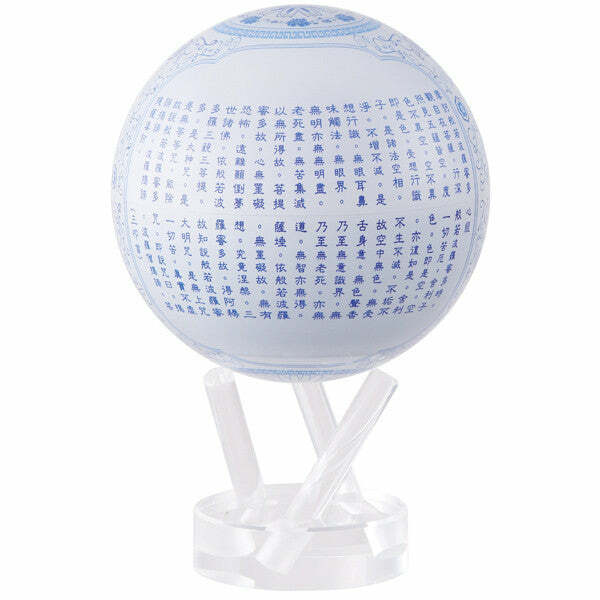 Showcasing the famous scripture in a divine blue color that wraps around a pure white, the Blue Prajna Paramita Heart Sutra MOVA Globe is a soothing, inspirational decor piece that will stimulate the mind and spirit. The globe comes packaged with a 3-pronged acrylic base that accents the impeccable design.